Congratulations to our November Contractor of the Month, and winner of the Yeti cooler giveaway, Brandon Smith! 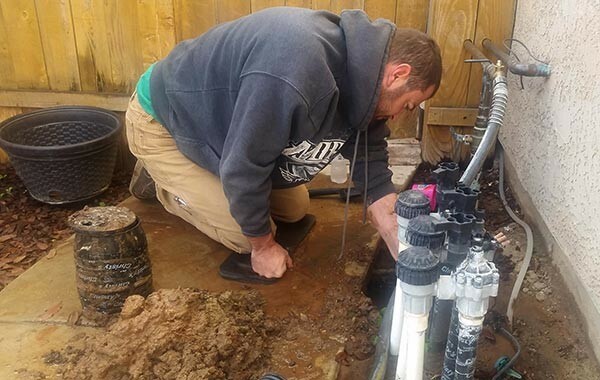 Brandon has sole ownership over his business, Smith’s Old Town Plumbing # 1013233, located in Squaw Valley, California. He has been a licensed contractor, specializing in plumbing, for two years but has over a decade of experience in construction. Becoming a contractor was always a dream of Brandon’s. He found himself afraid to attempt his goal, but upon losing a job he decided to pursue contracting. Around that time, his son was diagnosed with a seizure disorder which required being picked up from school early and frequent trips to the doctor. Brandon says that the flexibility of self-employment has been a huge blessing to him and his family, and he could not be more satisfied with pursuing his dreams of becoming a contractor. Being a contractor doesn’t come without some struggles for Brandon, however. Brandon’s family had to sell their home of six years to assist in the financial shortfall that came with starting a new business. With hard work and perseverance his family was able to rent for a few months and then buy a more affordable property, while earning some equity in the process. “My dig job” is what Brandon calls one of the most difficult projects he has ever completed. Being desperate for work, he accepted a job that required lots of trenching. However, he did not own a trencher at the time, so he hired a younger worker to help with the digging. Brandon got tennis elbow which made the job last many days longer than it should have. He looks back at the situation positively as the customer was very happy with the end result. On the flip side, there are always fun times while on the job. Brandon was once asked by a client to skinny dip for money, which he declined and laughed off. He says, “you never know what you will learn about someone in their home”. Brandon says the biggest hurdle that keeps people from becoming a licensed contractor is the documentation that the Contractors State License Board requires. Having over 10 years of experience in plumbing, he thought it would be easier to get a contractor’s license. However, some the work he performed had been done over the past decade and the CSLB requires six years within a 10-year period. In the end, everything worked out and he got the extra experience to get the license he currently holds. If you are interested in becoming our next contractor of the month, please email sadie@ccisbonds.com for an application. If selected, your company will be highlighted in our blog and you will receive a free contractor of the month t-shirt!